Virtual reality might be increasingly “in”, but it’s taken a while for the technology to progress beyond being merely a slightly amusing gimmick. The eyewear for escaping into virtual worlds has become more stylish-looking, too! To see just how far VR eyewear has come, here are some notable examples of it through recent history – dating right back to the 1980s. Remember the Sega Master System? Okay, you probably don’t – but your Dad might. Anyway, in 1987, the same year that the Master System console arrived in Europe, Sega brought out a neat little accessory for it, called the Sega 3-D Glasses. To use these specs, you had to plug them into a converter which would go into the card slot of the console, which would itself have a cartridge of one of the eight compatible 3D games inserted. Much like the 3D glasses you can get today for modern 3D televisions, the Sega specs would generate 3D effects by alternating shutters as the TV screen switched between left and right images. The notable supported games included Space Harrier 3-D and Outrun 3-D.
With Sega’s effort well ahead of its time, it was another eight years before Nintendo’s most well-known stab at virtual reality to date, the Virtual Boy, graced – or you might say, considering the reception it received, disgraced – store shelves. Despite being hyped as the first ever portable console capable of producing genuinely 3D graphics, the Virtual Boy sold poorly – largely, it is thought, due to the lack of decent games available and limited colour in the graphics – which were, like the headset itself, red and black. 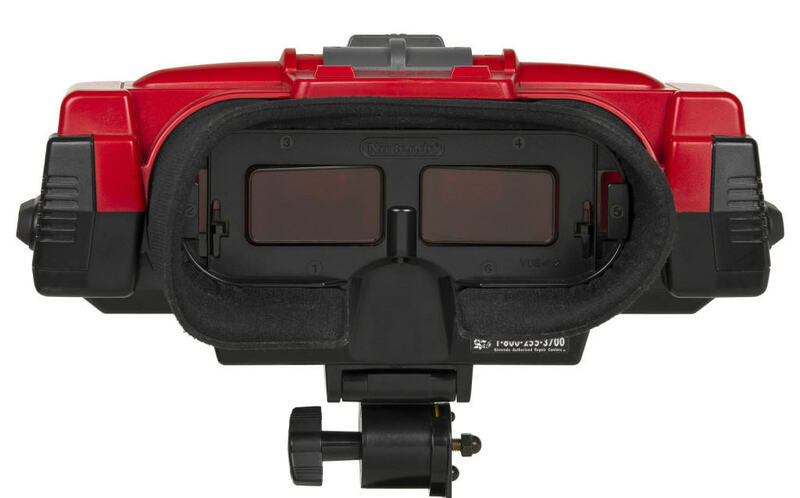 Nintendo brought production and sale of the Virtual Boy to an end in 1996. That year, a Kickstarter campaign started by Oculus saw 9,500 people put their financial support towards the development of the Oculus Rift, “the first truly immersive virtual reality headset for video games”. The headset was released to the public early this year; however, it seems that Oculus, now backed by its current owner Facebook, has still not quite cracked VR. In a review of the Oculus Rift in March, The Wall Street Journal called it “a pricey, awkward, isolating—and occasionally brilliant—glimpse of the future of computing”. Reviewer Geoffrey A. Fowler expressed his belief that, while “the Oculus experience will make quantum leaps in fun and usefulness in the years ahead”, such leaps will require more sophisticated hardware. 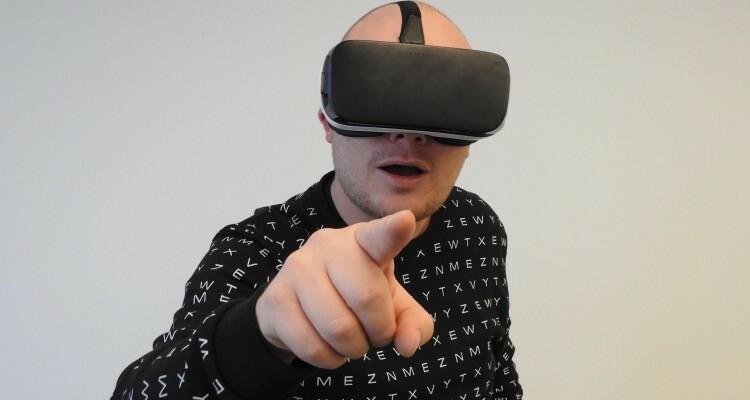 “If you buy a Rift today, chances are you’ll be replacing it in the near future”, he remarked. Thankfully, even if the Oculus Rift might come up a little short for now, the foreseeable future for virtual reality still looks very promising indeed. Many developers can have a go at crafting a wide range of immersive virtual reality experiences, thanks to the highly accessible Google Cardboard platform – while it looks like Apple could be preparing some virtual reality headgear of its own. With all of these emerging developments, it’s hard not to feel eager anticipation.